The hospital conducts a training course on basic proctology and surgery on a regular basis (6 days duration) for those surgeons who intends to include proctology in their practice. The course includes basic training on preoperative preparation of patients, surgical approach, observership in the operation room and postoperative care of the patients. The course fee is Rs. 40,000 ( US $ 1000 or Euro 1000) payable in advance. The course is only for qualified surgeons of modern medicine. This training course will be conducted as a joint venture of the hospital and Ellman International Inc. New York, USA. 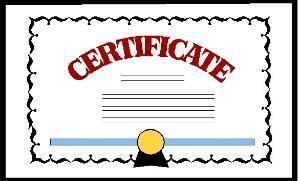 A certificate will be awarded after successful completion of the course. This course will consists of instructional lessons on proctology, basics of radiowave technology, live surgery demonstration and postoperative care of the patients. We already have hundreds of doctors undergone this training course not only from India, but also from USA, Malaysia, Indonesia, Romania, UAE, Bangladesh, AbuDhabi, South Africa, Greece and Azerbaijan.